Lukasz Niec is Polish-born, a green card holder and a Wisconsin physician. He is now held in immigration detention because of juvenile crimes and adult interactions with police which didn’t result in convictions. Despite the minor nature of hisoffenseshe is deportable. But it must be pointed out that his plight was not caused by Donald Trump. Bill Clinton is the president most responsible for Dr. Niec’s situation. In 1996 Clinton cut one of many dirty deals with Newt Gingrich and therepublicans. The Illegal Immigration Reform and Responsibility Act lawmadeany non-citizen deportable for even minor crimes. Thanks to Clinton and Gingrich bouncing a check is treated as seriously as assault if the perpetrator isn’t a citizen. This draconian rule has led to thousands of deportations over the last twenty years. Police state actions against immigrants have been in full effect for many years but these stories went under the radar until Donald Trump became president.Every dayimmigrants are swept up in raids or taken off of buses and trains but these conditions are not new either. The Customs and Border Patrol (CPB) may operate anywhere within 100 miles of the border and the agency has been violating human rights in western New York state and the entire state of Florida for a very long time. Recent videos of Caribbean immigrants being removed from buses in Florida have been rightly met with outrage. But this columnist wrote about the same CPB abuses taking place in upstate New York in 2010, long before anyone knew that Donald Trump would be president. It is tempting to blame Trump for all persecutions carried out against immigrants. He did make building a border wall and accelerating deportations a central part of his presidential campaign. But he has built on tools given to him by his predecessors. As if these tales ofmodern daybounty hunting aren’t frightening enough, the Immigration and Customs Enforcement (ICE)Trump administration has contracted with VigilantSolutions ,a corporation with a database of 2 billion license plate numbers from across the country. The Obama administration declined to carry out this same plan of mass surveillance but Trump has upped the ante. There is a tendency to dismiss the history of presidential policies and make Trump the focus of every outrageous government action. But there can be no real resistance against him if his predecessors are granted get out of jail free cards. Barack Obama increased the budget for immigration enforcement by 300% above Bush administration levels. Trump inherited a well-oiled machine, a 48,000 personnel force which was meant to expel as many people as possible. It did just that and a record number of immigrants, 2.5 million, were deported during the Obama administration. There should be no shrinking from acknowledging these facts. Democratic presidents greased the skids for Trump and the media only now pay attention to activities which they should have reported long before he took office. The white nationalism which propelled Trump into office is very much in favor of deporting as many people as it can. The term “shithole” nations is a synonym for non-white and millions of white Americans want to send as many brown and black away as they canpossiblesnatch. Lukasz Niec is collateral damage because the word immigrant has become synonymous with non-white. Newt Gingrich probably didn’t have Poles or any other Europeans in mind when he cooked up his plot for mass deportations. But that is the way America’s racist laws have always worked. There are always a handful of white people who suffer along with the intended black and brown targets. Trump cannot be opposedonimmigration or any other issue without a wholesale rejection of horrific legal precedents which have become acceptable. The sight of Indonesian asylum seekers in New Jersey now seeking shelter in a church tug at theheartstrings,so does the Jamaican woman removed from a bus in Florida. But unless there is a willingness to tear apart the law enforcement system in this country republicans and democrats alike will continue to violate human rights. The resistance has to resist a lot more than Trump. The police state must be rejected entirely. Withoutitthere would be no immigration detention. The idea that some people aren’t welcome in a nation which was created by invaders and usurpers must be rejected too. The people must be safe from presidential whims. Whydoes Vigilant Solutions have 2 billion license plates numbers at all? Why is surveillance of every private citizen permissible in a country which allegedly protects its citizens from unreasonable searches? It is time to say no to the entire rotten structure. Americans accept armed police, mass incarceration and a plethora of corporations with the ability to violate our privacy and our rights. The police state is a danger to everyone’s life and it must be eliminated. That must be the demand. That is the only resistance worth discussing. Replacing Trump with a new iteration of Clinton or Obama won’t make life safer for immigrants or anyone else. 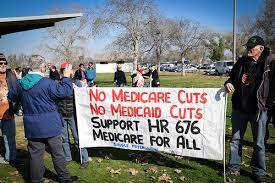 It is time to fight against them all and have true democracy for citizens and immigrants alike. Margaret Kimberley is a Senior Editor at Black Agenda Report and blogs at Freedom Rider. 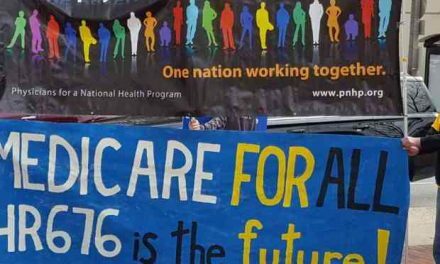 PreviousWhich Path to National, Improved Medicare for All? 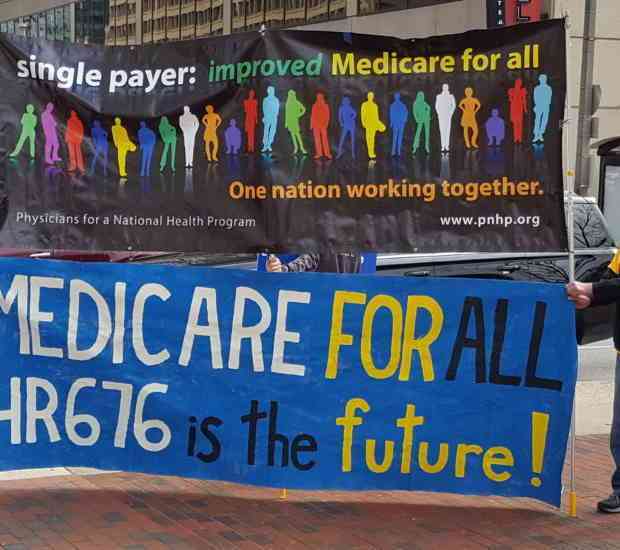 Which Path to National, Improved Medicare for All?